A European species, locally established in North America. The only collection made in Michigan since 1915 (when O. A. Farwell collected the species at Detroit, Wayne Co.) is from a trail on Isle Royale in 1959. MICHIGAN FLORA ONLINE. A. A. Reznicek, E. G. Voss, & B. S. Walters. February 2011. University of Michigan. Web. 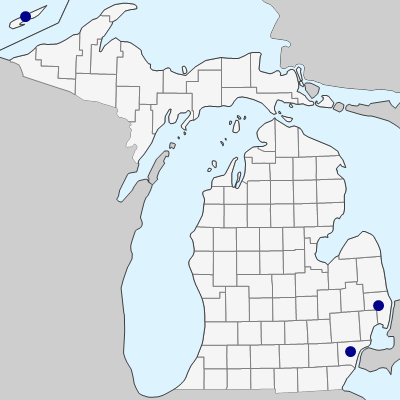 April 20, 2019. https://michiganflora.net/species.aspx?id=1365.